An important part of every SEO (search engine optimization) campaign is keyword research. Whether you’re optimizing a website for your small business, for your e-Commerce site, or for your enterprise-level company, you can never be too careful with the keywords that you choose. Do you know that 80% of all online transactions begin with a keyword search? Armed with the right set of keywords, you can use highly attainable and frequently searched phrases to bring in targeted traffic and increase conversion rates. You can maximize your PPC (pay-per-click) campaigns and take traffic away from the competitors. Choose the wrong set, and you risk losing your advertising dollars, not to mention wasting the effort that you’ve put into getting your website to rank and stay competitive in the search rankings. Keyword Discovery: A favorite of numberless Internet marketers and SEO experts, Keyword Discovery helps users identify the search phrases people use when trying to find a particular product or service. Also, the tool can help you determine the search terms that just might drive significantly more traffic to you or to your competitors. Extra features include the ability to identify common spellings and misspellings, integration of keyword research data into your own marketing tools, and keyword reports and custom exports of large keyword lists. Wordtracker: This is another user favorite, if only because of its robust feature set and its 340-million keyword database. A membership-based service with a free trial version, Wordtracker not only helps users find keywords (with information on the number of times these keywords have been entered); this keyword research tool also shows you how can find untapped market niches, get inspiration for new products and services, and compile associated keywords that, taken together, will make your website content that much more compelling and search-friendly. 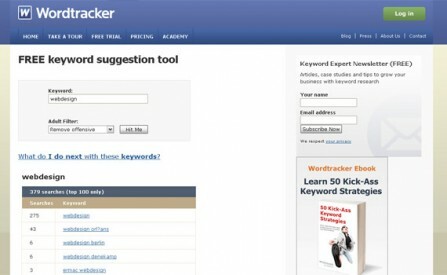 Google Keyword Tool: This free tool helps you generate more new keyword ideas for your optimization efforts. Quick and easy to use, Google Keyword Tool requires you to either enter a few descriptive words or phrases, or type in your website’s URL. Google also launched a Search-based Keyword Tool that generates ideas matched to your website and helps you come up with ideas for niche keywords – complete with an option that lets you see top keywords in different categories. 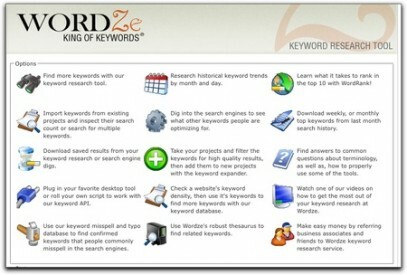 WordZe: This tool is described as “the ultimate Internet marketing and keyword research tool set”. Equipped with a friendly interface and unique data sources that make it popular among affiliate marketers, WordZe can quickly generate lists of thousands of highly targeted keywords for your SEO efforts and pay-per-click campaigns. The keyword research tool uses Meta Search data and Google data to help users identify keywords; also included in its set of data sources are ISPs and Internet portals, making it different from a lot of other keyword research tools. According to WordZe, these data sources get seven to thirteen percent of all Internet search queries. Other features include Competitor Keyword finder, filter tools, and a library of instructional videos on Internet marketing and success PPC campaigns. KeywordSpy: KeywordSpy is in this list because of its ability to help users gain insights into what competitors are doing and how they’re strategizing. It’s like letting competitors spend the money on experimenting with keywords – then leveraging that knowledge to find the best keywords for you. Much like SpyFu – another Lakeshore Branding favorite – KeywordSpy lets users “spy” on the keywords that make the most money for the competition; it also helps you find out who’s bidding on particular keywords, the kind of information that can then help you generate new keyword ideas. Moreover, the tool lets you in on several other useful data, like cost per click and clicks per day for each keyword. 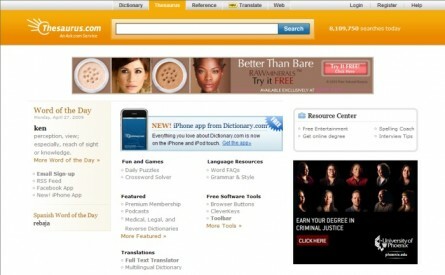 Thesaurus.com: Why not? Keyword research is about finding the best search phrases, words, and alternatives for optimizing your website. If you’re looking for inspiration or trying to locate synonyms for your keywords, then go check out the thesaurus. It doesn’t exactly provide search data the way other keyword research tools would, but it helps you remember synonyms and phrases you may otherwise have forgotten. Oh snap. You mentioned Google’s keyword tool. Please excuse me. I guess I passed over it without the screenshot. Sorry about that. Thanks for reading and let us know which tool works out best for you!